Why does the slave ever love? Why allow the tendrils of the heart to twine around objects which may at any moment be wretched away by the hand of violence? I win the fight, I never die and I always get the girl at the end of the picture. There’s a lot of truth in a joke. These quotes and their sources reflect my thoughts about Quentin Tarantino’s new film “Django Unchained.” And that’s pretty much all I have to say about the film. Read into it what you want. 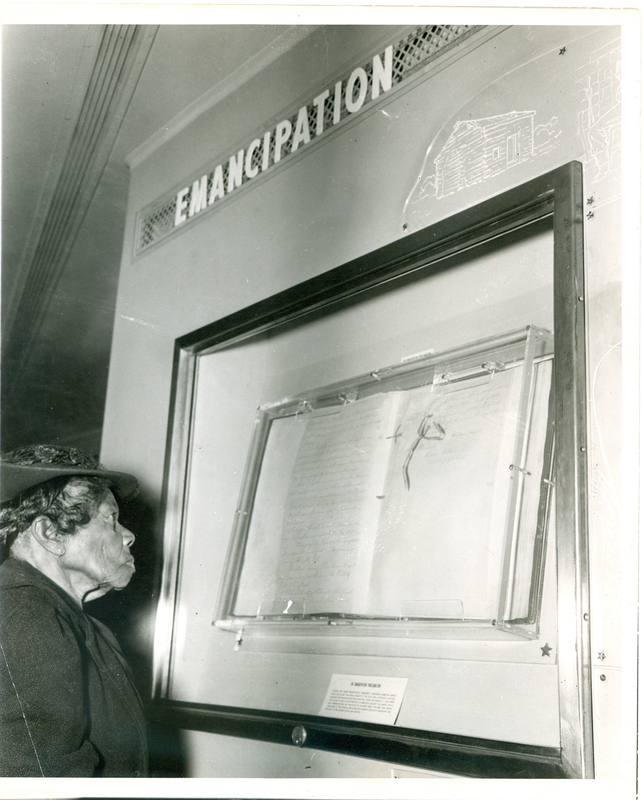 Tonight is Watch Night, New Year’s Eve – – “in anticipation of the day of Freedom on January 1 when the Emancipation Proclamation became the law of the land.” Tomorrow’s the 150th Anniversary of the Emancipation Proclamation. Speaking of films, here’s a video about the Emancipation Proclamation I produced years ago for the Humanities Council of Washington, DC’s public access series featuring the late historian Walter Hill (1949-2008), an archivist at the National Archives and Records Admiministration. The original copy of the Emancipation Proclamation is on display now at the National Archives until tomorrow, January 1. Eating is the great preoccupation of both primitive and civilized man. But the savage eats from need, the civilized man from desire. 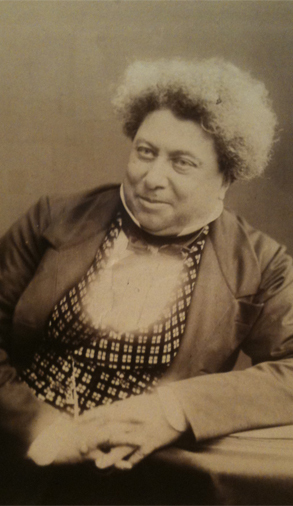 Alexandre Dumas and I go way back. I fell in love with his novels through the 1970s film adaptations with Michael York as D’Artagnon, Oliver Reid as Athos, Frank Finlay as Porthos; and Richard Chamberlain as Aramis who also played Edmund Dantes in “The Count of Monte Cristo,” and Phillipe/Louis in “The Man in the Iron Mask” movies. Eventually I got around to reading Dumas’ books, and his stories and old Erol Flynn flicks on TV inspired me to take a fencing class in college. I sucked at it. When I found out there would be no swinging from chandeliers, it kind of ruined the fun for me. I still enjoy watching the sport. But Alexandre’s biography and the times he lived never cease to fascinate. Alexandre let his passions rule his life and managed to make a good life of those passions at least until the money ran out. He was also the son of a heroic French general named Alex Dumas. General Alex Dumas’s father was Antoine Davy de la Pailleterie, a French aristocrat seeking his fortune in Saint Dominque (now known as Haiti). Antoine fathered several children that included Alex with one of his slaves, Marie Cessette Dumas. Only Alex would join his father in France. Alex Dumas died when Alexandre was very young, but would always be bigger than life and the inspiration for his son’s famous characters. 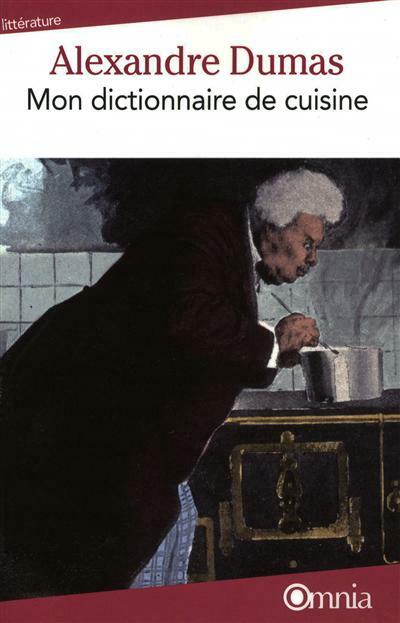 When I learned Alexandre Dumas was a gourmet cook and had published this grand Dictionnaire de Cuisine, I found a deeper connection and the inspiration for “Dinner with Alexandre Dumas.” Will this be my “Julie and Julia”? My name does appear in Alexandre’s The Three Musketeers.” Serendipity? I rallied my “Favorite Chefs” potluck group for a lunchtime dress rehearsal. 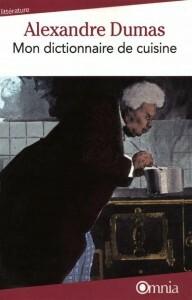 Mind you, recipes in Alexandre’s day didn’t include measurements, and were usually written in prose. But our cooking group is seasoned enough to figure it out as we go. However, my first email on the theme sent everyone into a state of confusion. 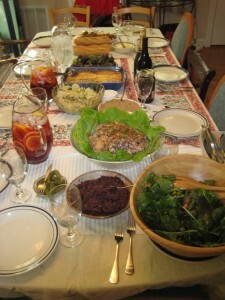 This was not a Julia Child experiment. It would take imagination, research, and a sense of adventure — just like Alexandre. 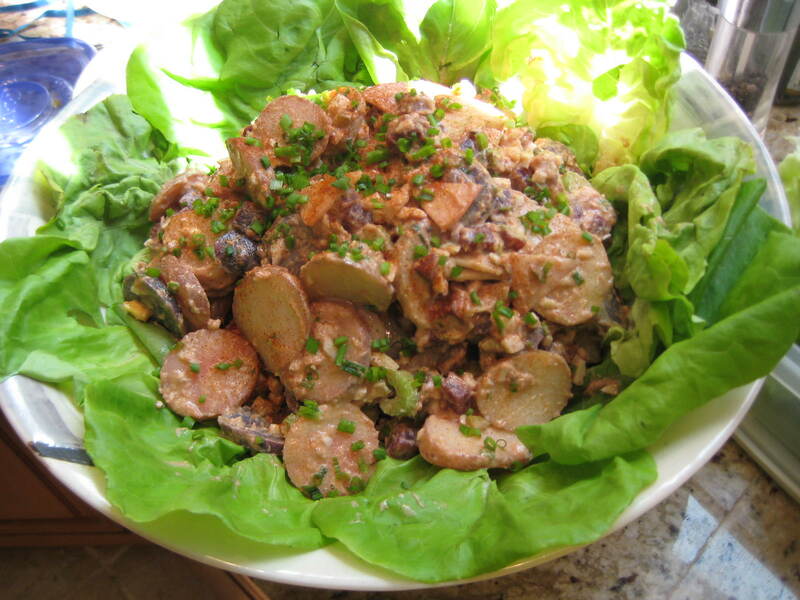 …I made a salad that satisfied my guests so well that when Ronconi one of my most regular guests, could not come he sent for his share of the salad, which was taken to him under a great umbrella when it rained so that no foreign matter might spoil it. Though I did the shopping and prep for the salad, it would take 3 of us from the Favorite Chefs group to interpret the narrative recipe by Dumas against modern interpretations which begins with a paste made from the yolks of hardboiled eggs, oil, tuna, anchovies, Maille mustard (still around today) and the finest vinegar. The Three Musketeers were Marsha Weiner food media producer and educator (FoodMuse Media), myself and Janet Cam a restauarnt and wine consultant who was co-owner of Le Pavillon, the first nouevelle cuisine restaurant in the U.S. But this was 19th century cooking. We pulled it off. Alexandre would leave the tossing to his servant. Our merry group (host Lisa, Mas, Taquiena, Paddy, Patricia, Phillippa, Joanne, Paul) did rally their culinary arms around the theme and filled the menu with food from Alexandre’s life and travels including hooch. Apparently France was also producing and drinking their own version of moonshine. The NRA’s Friday press conference will go down in history as a text book case of what not to do in a press conference. After days of silence following the Newtown, CT tragic mass shooting, it could only be assumed the NRA was crafting their most brilliant spin ever, making mental health treatment the center of a debate and not gun purchases, or ownership. But the “bad guy, good guy” soundbyte by vice president and chief lobbyist Wayne LaPierre, could only be, as someone brilliantly described, a case of the NRA “shooting themselves in the foot.” And the “magic bullet” solution to set up an armed police in schools only opened LaPierre and the NRA to further ridicule and outrage with examples of how well that set up worked at Columbine in 1999, a heavily armed Fort Hood, and Virginia Tech in 2007 which had/has armed campus police. The time has come, where this side of the argument no longer has a place at the table. Perhaps there will be a serious conversation about U.S. gun culture and the mental health of the nation. Michael Moore’s “Bowling for Columbine” was part of that conversation and is still relevant. NPR’s Diane Rehm did a great show (Jan. 20) on the struggles of parents with seriously mentally ill children, and this article by Adam Winkler, “The Secret Hstory of Guns,” published in the Atlantic is very interesting and merits more discussion. It will take more than awareness to move this forward. The President is asking the public to stay engaged. Nearly 200,000 signed an online gun violence petition posted by a citizen on the “We the People” page of the White House’s website. Sooner or later there’s that final straw that breaks the camel’s back as the old schoolers uesd to say. “He told me that they can’t print it anymore because Technicolor in Los Angeles no longer prints film,” Schoonmaker recalled. “Which means a film we made 20 years ago can no longer be printed, unless we move it to another lab—one of the few labs still making prints.” (Age of Innocence has since been printed in another lab). Welcome to the digital world, movie version. With major studios like 20th Century Fox switching to digital prints by year’s end, businesses that used to make and support celluloid—labs, shippers, and suppliers—are shutting down or shifting gears. Fuji is ending its production of film stock, while Kodak, in the throes of bankruptcy, is cutting back on its film products.